Aluminium Frame Company are now expanding their selection of products to now include entrance or front doors. These doors will be of the same high quality and standard as all our other products and also come with the same commitment to service as you would expect from the Aluminium Frame Company. Our two new product lines will consist of a Composite Doors section offering a more affordable solution but will still carry our 10 year guarantee and our Aluminium Panel Doors section with powder coated panels and multiple glass finishes that can’t be beat. 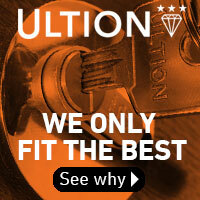 If you need any more details on our Composite Door or Aluminium Panel Door ranges please download our brochure or contact us and one of our friendly staff will be glad to help you.